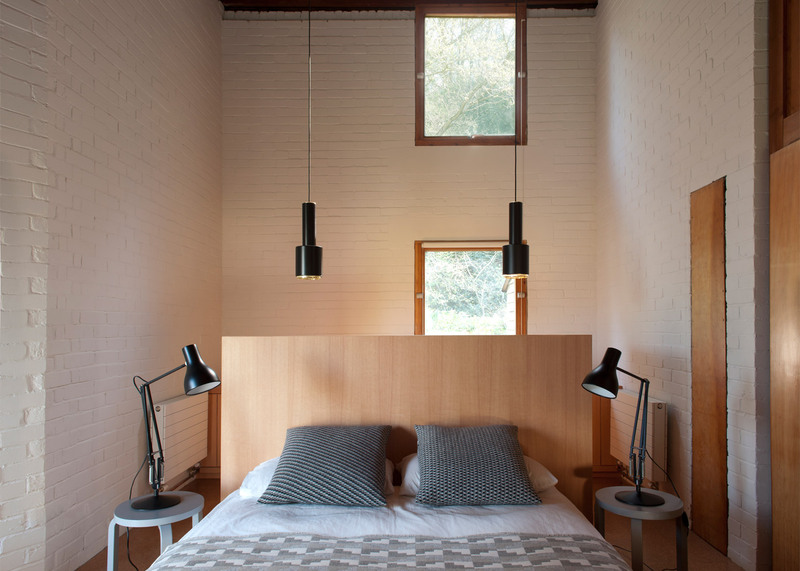 This mid-century house featuring a studio designed by Brutalist architects Alison and Peter Smithson has undergone an extensive renovation by London studio Coppin Dockray (+ slideshow). 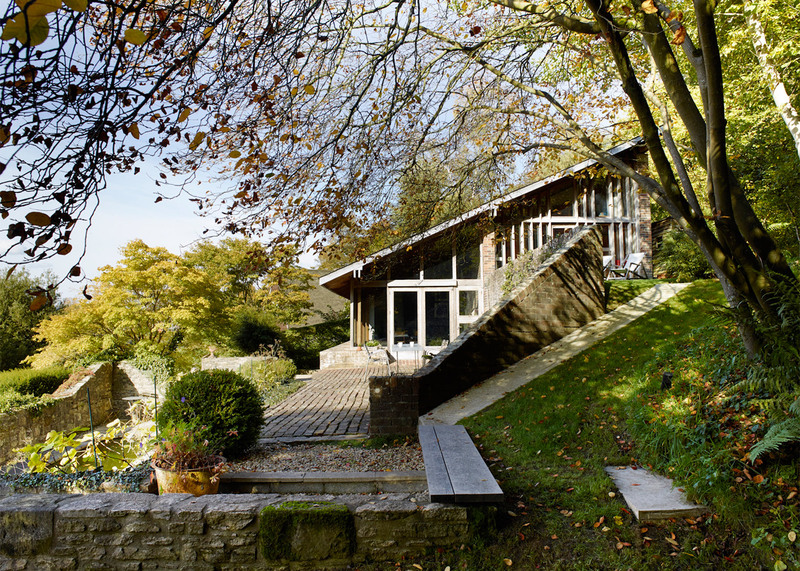 Named Ansty Plum, the house is located in a small village in Wiltshire, England. It was built in 1962 by architect David Levitt – who later went on to establish Levitt Bernstein – and then extended in the early 1970s by the Smithsons. Coppin Dockray co-founder Sandra Coppin and husband bought the property six years ago. But it had significantly deteriorated over the years, and needed significant alterations to make it suitable for use in winter as well as summer. "These buildings were built when energy was cheap and the impact of fossil fuel consumption not well understood," explained the architects, who themselves occupy a studio in Berthold Lubetkin's celebrated Highpoint apartment blocks, built in 1935. 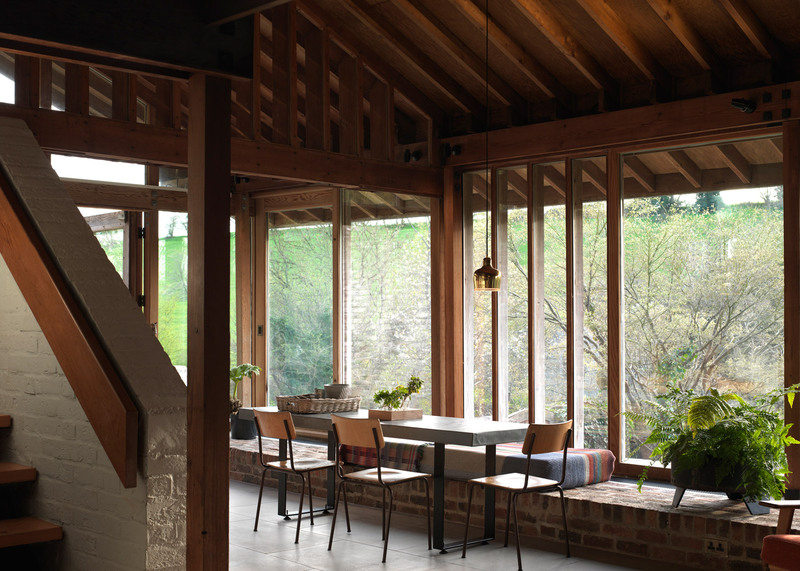 The intervention involved underpinning the building to improve its stability, adding extra insulation and double glazing, installing central heating for the first time, and renewing surface finishes throughout. "The intensive repair and reorganising of these two buildings has brought about an 80 per cent reduction in its energy use," said the design team. 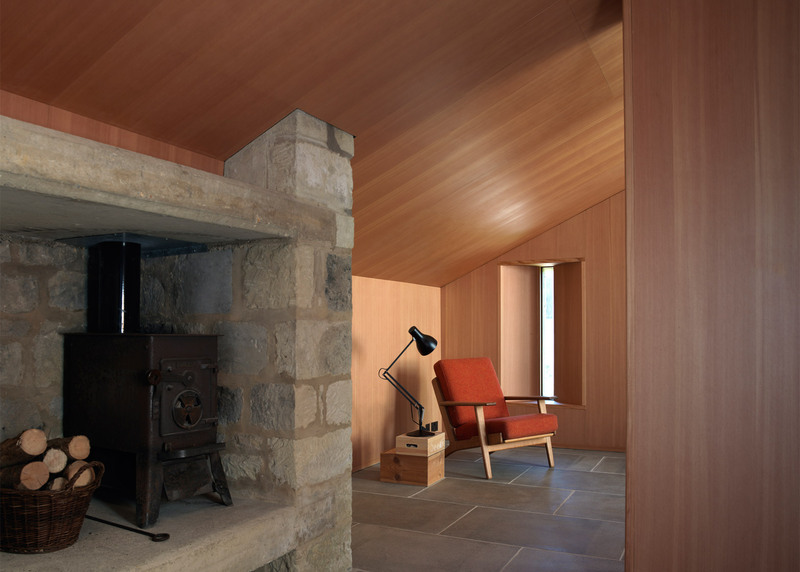 "The result is that this distinctive house once again displays its clarity of intent and can now be occupied comfortably throughout the year." 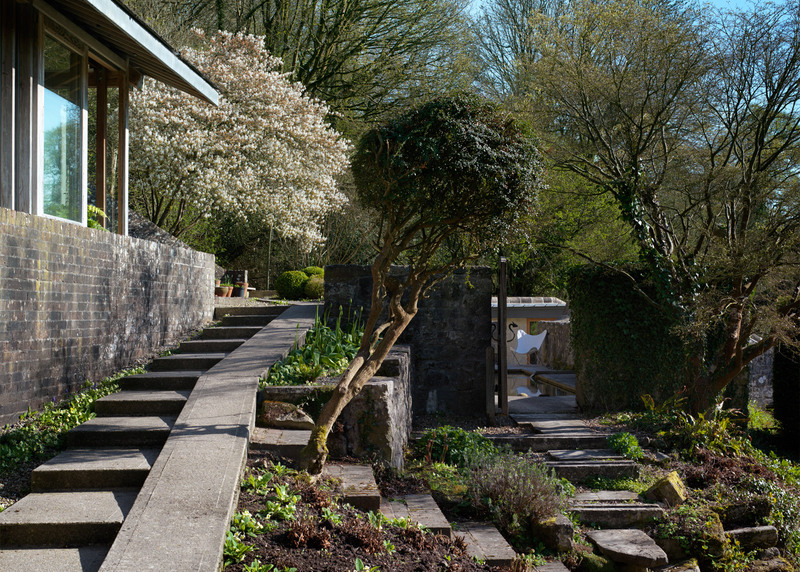 Ansty Plum was initially commissioned by Roger Rigby, an engineer for design and engineering firm Arup. 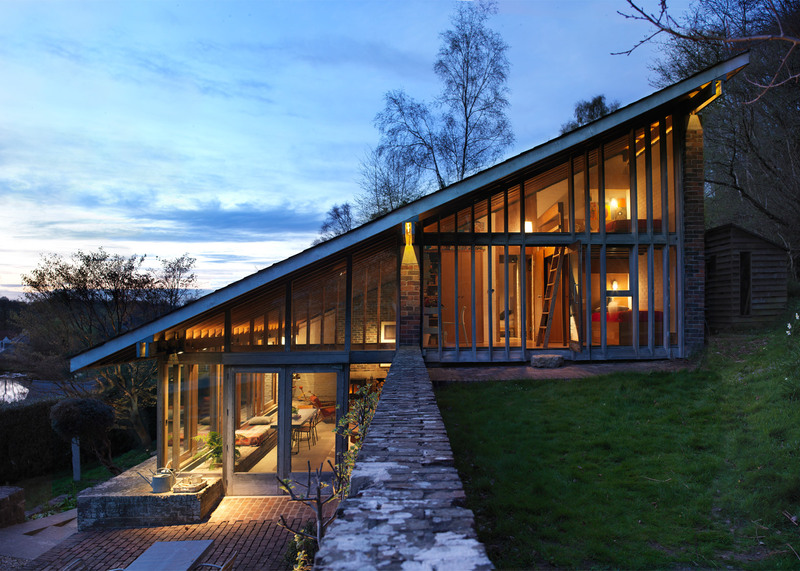 Its most distinctive feature is its sloping Douglas-fir-framed roof, which follows the gradient of the hillside into which the building is set. 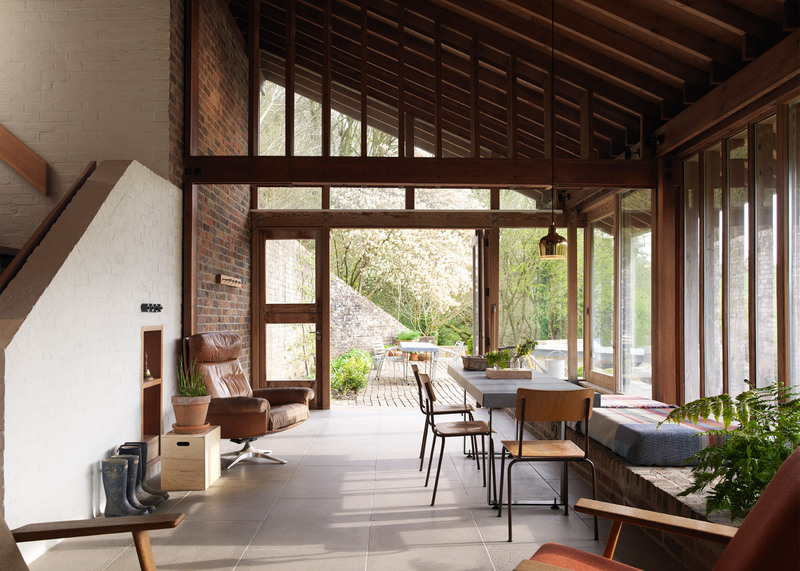 Alison and Peter Smithson built their own holiday retreat nearby at around the same time, which is how they ended up adding a small garage and studio block to Rigby's home. This part features an unusual combination of smooth concrete and stone detailing. The house's floor plan is arranged around an open-plan living space that also acts as the building's entrance. Here, Coppin Dockray added underfloor heating beneath the stone slabs. 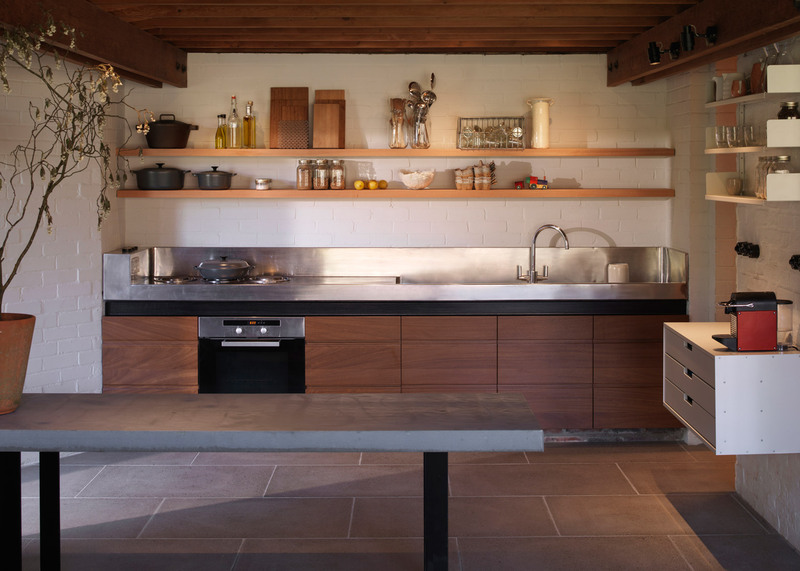 The kitchen was completely remodelled, using wood-fronted cabinets and a stainless steel worktop. New pendant lighting fixtures were also added in each room. A small extension was also built, creating a shower room featuring a floor-to-ceiling window facing out to a secluded corner of the garden. Wherever possible, the architects aimed to reinterpret the original zinc, stone and timber details as shown in the Smithsons' drawings. They described their approach as "preserving the spirit of this building, without compromising its functionality". The Smithsons are most commonly associated with the Brutalist architectural movement. Their most famous projects include the Economist Buildings, Hunstanton School, and the ill-fated Robin Hood Gardens housing estate. Photography is by Brotherton Lock and Rachael Smith.